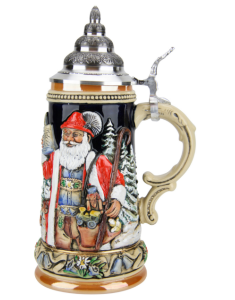 This Christmas beer stein features a Bavarian Santa dressed in traditional German lederhosen and hat with gamsbart, holding a beer stein. The side features the famous Church of St. Nicholas, the alpine chapel where "Silent Night" was first performed in the year 1818. One of Santa's "reindeer" and a bunny stand by the chapel entrance, which is set amidst tall snow covered pines. This stein features a dark cobalt blue background with 24K gold accents and high relief decoration. Holly, alpine flowers, edelweiss & bells encircle the base of this beautifully detailed and hand-painted Christmas stein. Limited Edition of only 5,000 individually numbered pieces Worldwide! This Alpine Santa and Silent Night Chapel beer stein is a Bavarian classic, and a great way to bring a small piece of Germany straight to your living room. Produced in Germany by the world-famous King Werk Stein Company, this ceramic stein is hand painted and made directly from German clay. Complete with 24K gold accents and a beautifully rendered holly border, this ceramic Christmas stein is guaranteed to arouse a sense of holiday cheer. The traditional Bavarian Santa and ornate pewter lid help to give this stein the classical feel that many collectors desire, and the dark, cobalt blue background make this ceramic stein a true work of art that can’t be found anywhere else! 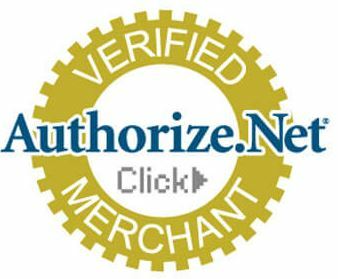 We are guaranteed to have something for almost any person on your holiday list, and our staff of experts will be more than happy to assist you with any questions that you may have. King-Werk is one of the most widely recognized makers of quality German steins on the market. They operate out of Westerwald, Germany where they make some of the most innovative and visually appealing steins in the world. All of our King-Werk steins, like this one here, come complete with the company’s prestigious stein mark, and their team of expert craftsmen undergo rigorous training and apprenticeships to learn the ins and outs of the stein making business. From German Christmas Pyramids and German advent calendars to German Christmas ornaments, explore all our German Christmas gifts for authentic Bavarian products. Shop our full inventory of authentic ceramic beer steins for sale online!